If you live in the St. Louis area, there’s an in-person group that is starting through this book today and for the next few months. Let me know and I’ll you hook you up! For them, I thought it might be helpful if I made an index of posts so far. If you’d like to share a post about what you learned about compassion (The First Step) or what you’re seeing in your world (The Second Step) or self-compassion (The Third Step), use the link list below. Or join the discussion in the comments or on Facebook. To further understand and develop self-compassion, I’ve been using the tools at self-compassion.org. I started with the exercises from the Practices page. I learned that I get stuck on a notion of compassion that is about giving comfort and offering sympathy. I’m not that good at those, for myself or anyone else. 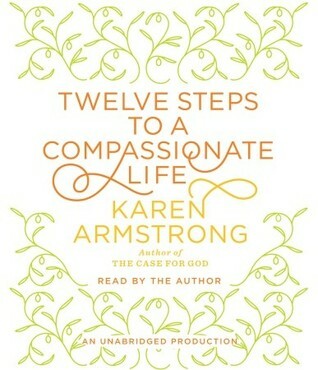 Fortunately, that’s not the only aspect of compassion that Twelve Steps to a Compassionate Life talks about. I’ve also learned that sympathy and comforting are not the most useful aspects of compassion for anti-racism work. Compassion can look like providing options. Compassion can look like a plan to get a better result from the current situation. Compassion can look like a structure that puts an option into place and a plan into action. I’m better at working out options, planning solutions, and setting up structures to make them happen. Those are exactly the kinds of supports that make me feel better, too. Sometimes, I think what I want for self-compassion is sympathy and comfort, but nothing is as comforting to me as a good plan. So, I got some unexpected self-knowledge from the exercises. I also found them to be calming — that might be the best result I can get from better practices of self-compassion. I have more exercises to go, so I’m going to keep working with these. What have you done for self-compassion this week? I’ve only recently learned that acknowledging (or brainstorming) options is a healthy way to express self-compassion. I also think changing my paradigm – how I view a situation – is healthy as well. I try to acknowledge the other’s point of view and that in turn helps me. I like that about self-compassion, but I never really thought of exploring options as a way to express self-compassion. Thanks for sharing! Reading your Sunday posts has been wonderful and thought provoking. I don’t consider myself good at self compassion. But this week I remembered that ever since I went on mood stabilizers for my bipolar, my connection to God has been harder to achieve. Over the years, I became complacent about it. But complacency is not compassion. Compassion is recognizing a problem, not blaming yourself, and trying to fix it.